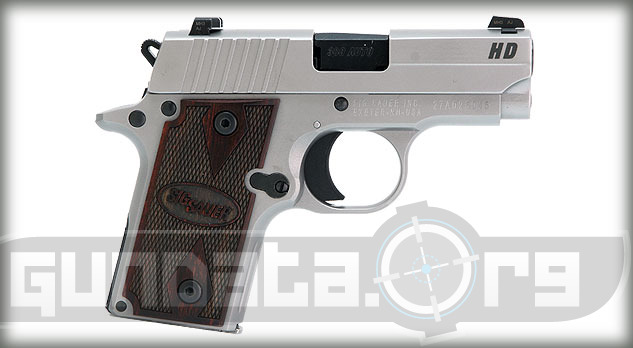 The Sig Sauer P238 HDW is a small-frame beavertail handgun, based off the smaller 1911 design of the Colt Mustang. 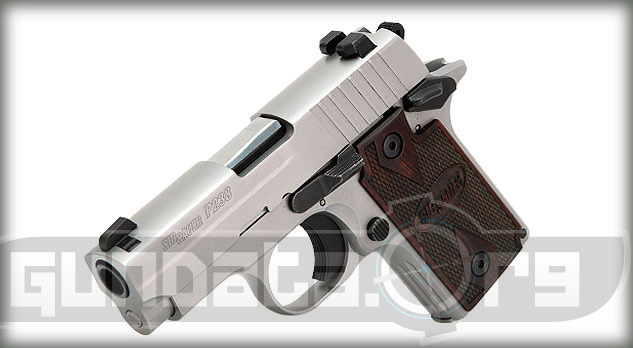 It is a sub-compact pistol that is used for self-defense, or conceal and carry purposes. It has an overall length of 5.5-inches, a height of 4.46-inches, with a barrel length of 2.7-inches. 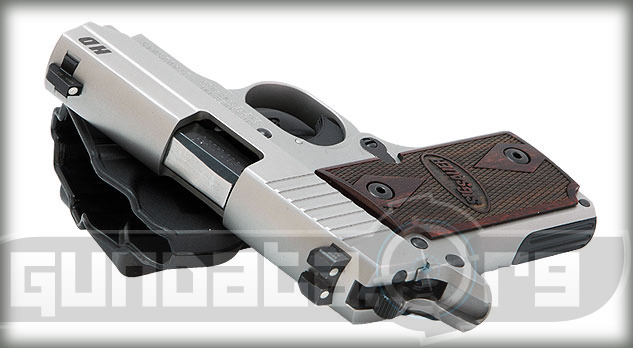 It holds a 6-round single stack magazine of .380 ACP (9mm short) ammunition. 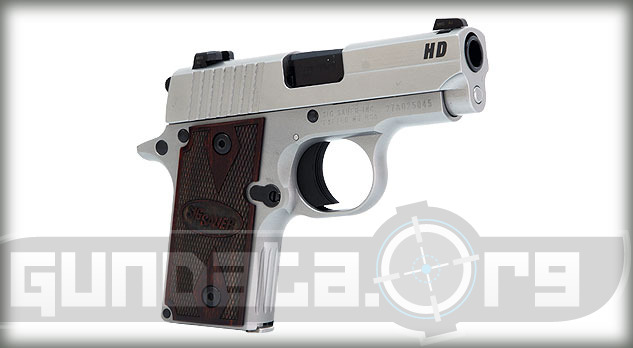 The P238 HDW frame and slide are made of stainless steel, with a natural stainless finish on both. The slide has serrations on the rear for an easier grip while chambering rounds. The grips are checkered Rosewood, with flutes on the front strap. It has the 3 white dot SigLite night sights on the front and rear sights. The trigger is single action only (SAO), with 7.5-8.5 pounds of pull.